When faced with the decision of picking out the cookie of my choice from a basket with a variety of cookies in it, I always go right for the oatmeal ones. I don’t know what comes over me. How could I not go for the chocolate chip cookies. Or the double chocolate ones. Or even the really delicious looking ones with macadamia nuts in it. Nope, it’s none of those….it’s always the oatmeal cookies. 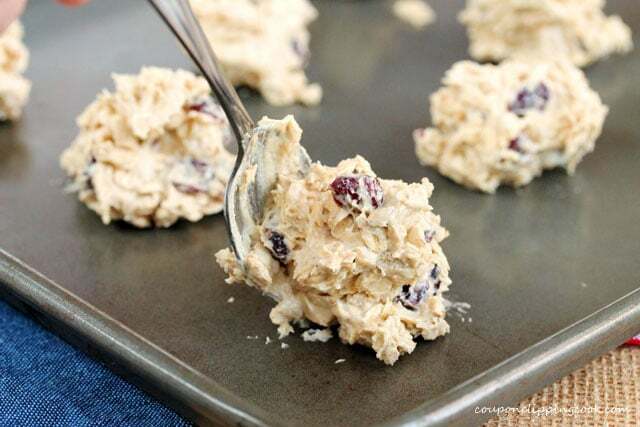 So in honor of oatmeal cookies, here’s a scrumptious recipe with dried cranberries in it. 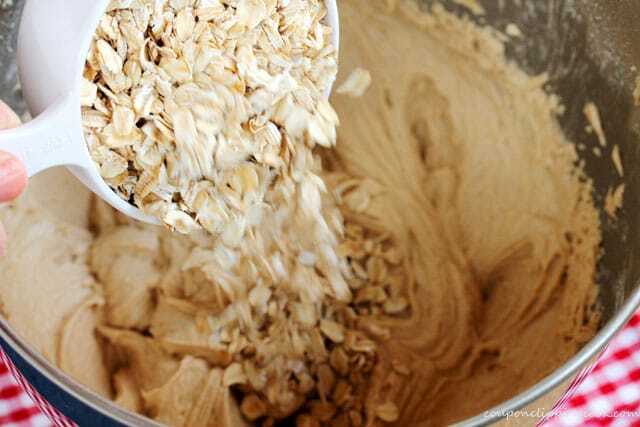 It’s a really simple recipe and is adapted from the recipe on the container for Quaker Oats. 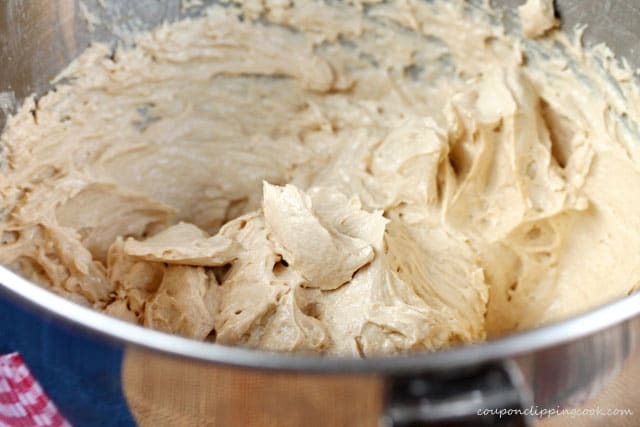 …and beat the ingredients with a mixer until creamy. In a small bowl, add the eggs. 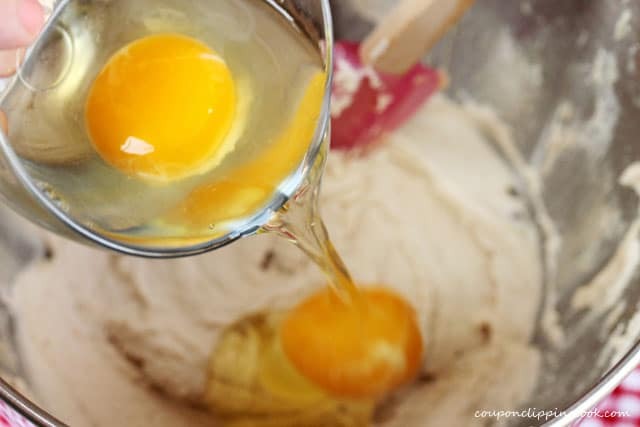 TIP – Instead of adding the eggs directly in the mixing bowl, it’s a good idea to add them to a small bowl first just in case one of them is bad or has a spot of red in the yolk area. This way a bad egg doesn’t contaminate the batter. One another note, have you ever seen a single egg with 2 yolks? It looks so unique. I always make a wish when I see one. 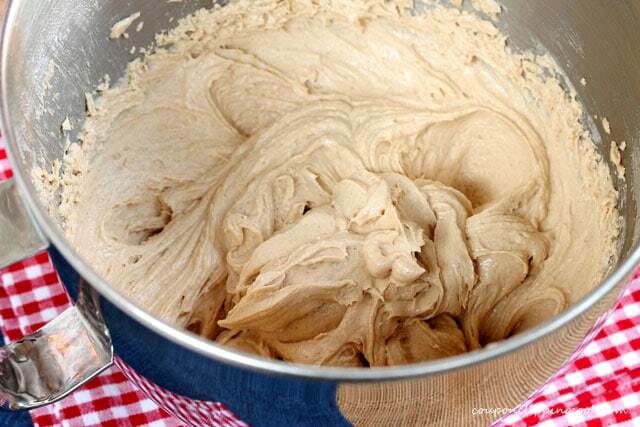 Ok…on to the cookie batter. and the vanilla to the mixing bowl. Lightly stir just the dry ingredients together…. 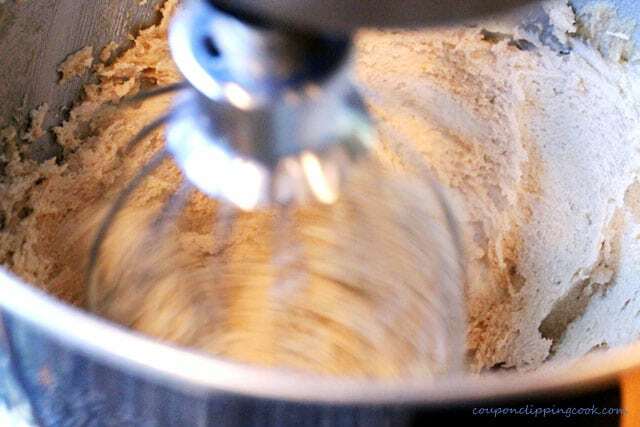 beat all ingredients with a mixer. 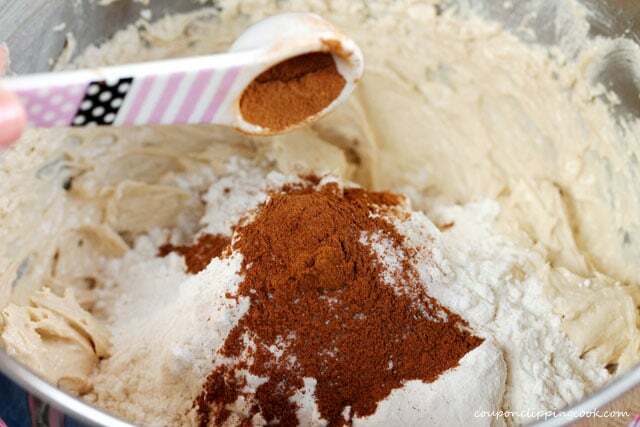 Mix with a large sturdy spoon or spatula. drop the dough on to an ungreased cookie sheet. 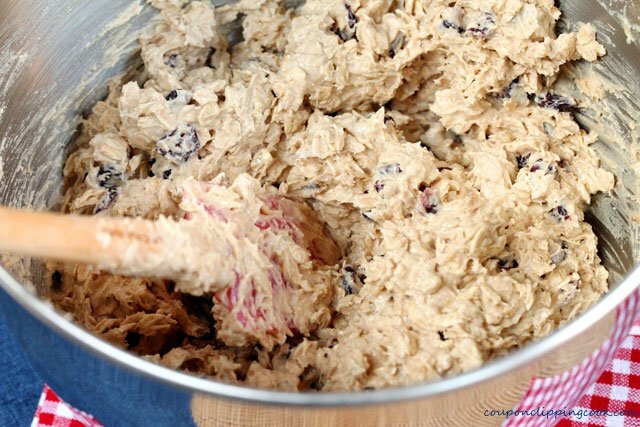 Bake in a preheated oven for about 8 minutes or until the cookies are a light golden brown color. 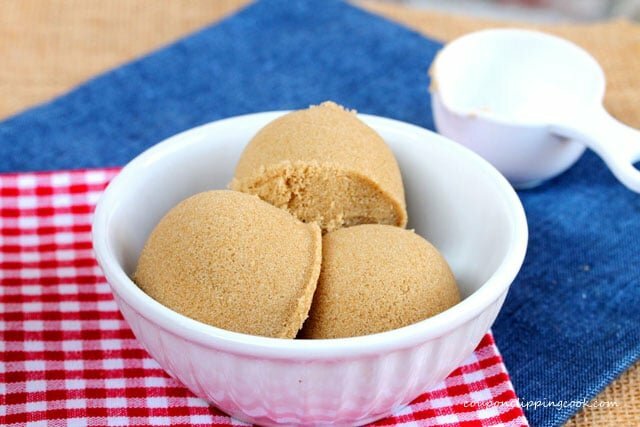 For a softer cookie, remove them from the oven when the middle of the cookie still looks slightly soft (after about 7 minutes but the amount of time may vary depending on the oven). Cool on a wire rack and dig in. Adapted from the Quaker Oats Vanishing Oatmeal Raisin Cookies recipe. A traditional oatmeal cookie with a cranberry twist. 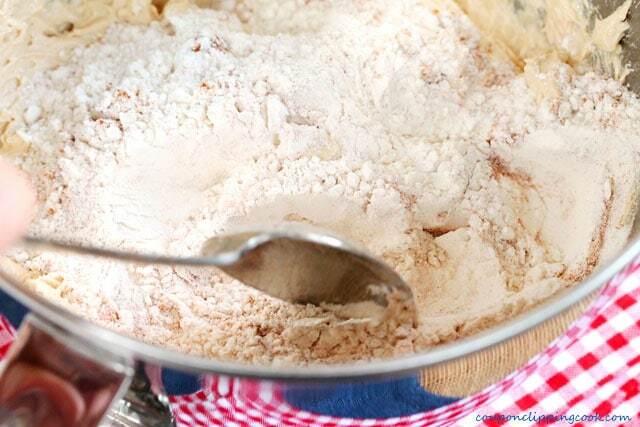 To a medium size bowl, add flour, baking soda, cinnamon and salt. Lightly whisk together and set aside. 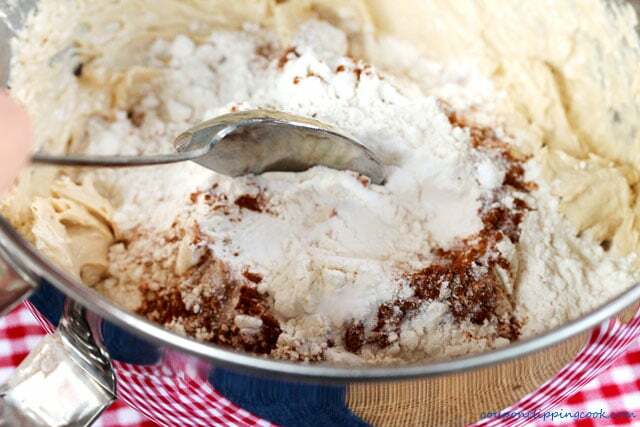 In a large mixing bowl, add softened butter, brown sugar and granulated sugar. Beat with a mixer until creamy. 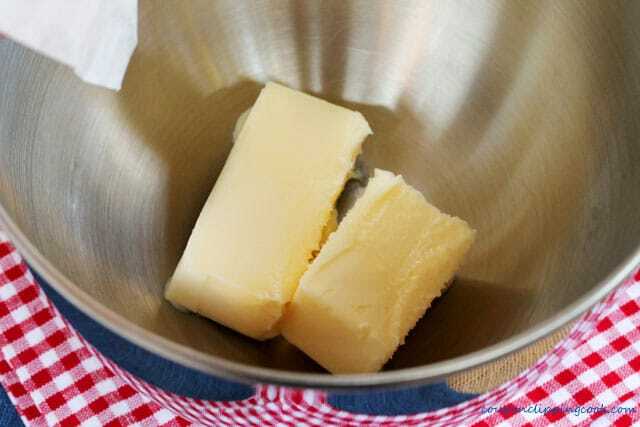 To the bowl with the butter and sugar mixture, add eggs and vanilla. Beat until light and fluffy. 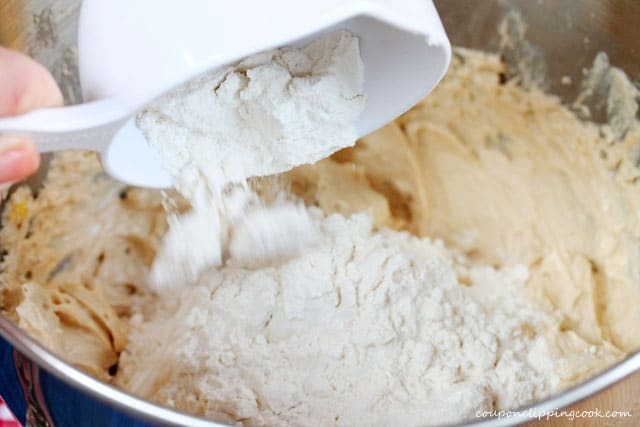 To butter and sugar mixture, add the flour mixture a little at a time and beat the ingredients on low (so that the flour doesn't fly out of the bowl). 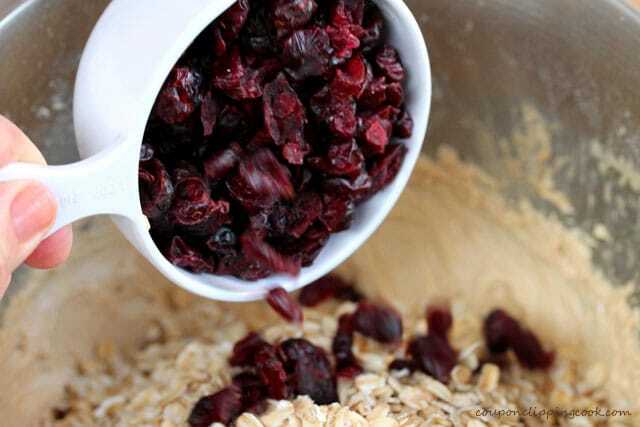 To the bowl, add oats and dried cranberries. 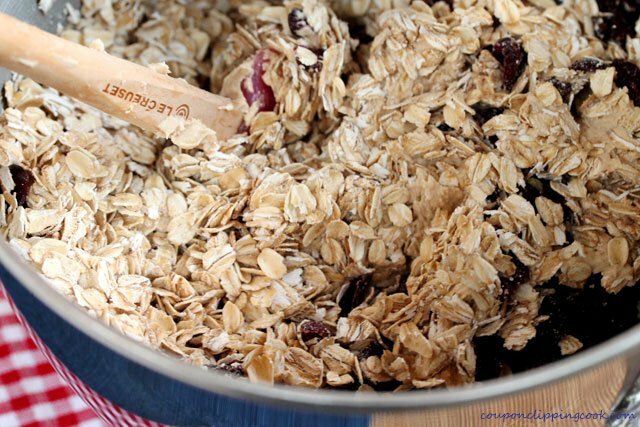 With a large sturdy spoon or spatula, mix in the oats and dried cranberries. 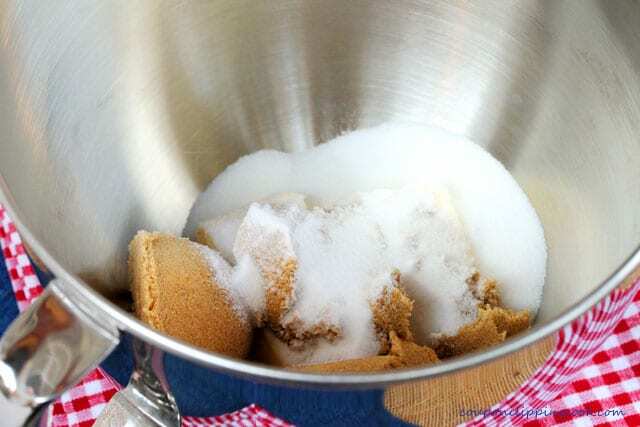 Using a tablespoon, drop the dough on to an ungreased cookie sheet. Bake in a preheated oven for 8 minutes or until the cookies are light golden brown. 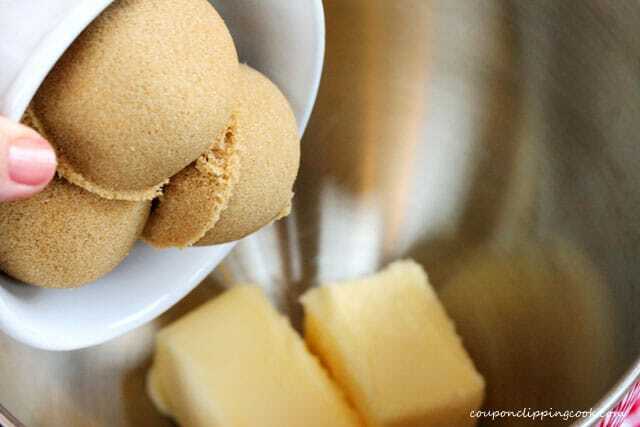 For a softer cookie, remove from the oven when the middle of the cookie still looks slightly soft (about 7 minutes but the amount of time may vary depending on the oven). Transfer the cookies to a wire rack and let cool before serving. 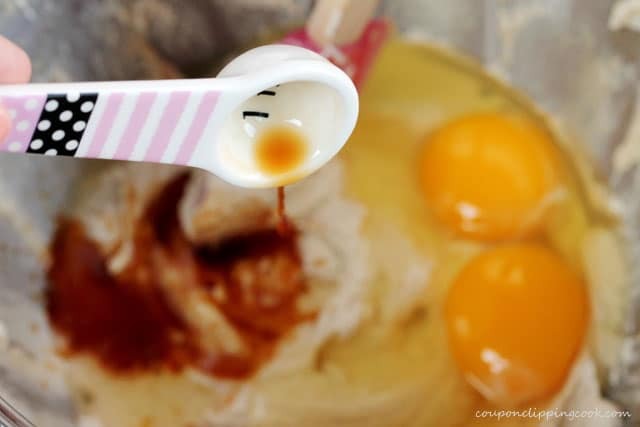 Instead of adding the eggs directly in the mixing bowl, it's a good idea to add them to a small bowl first just in case one of them is bad or has a spot of red in the yolk area. These look sooo yummy! 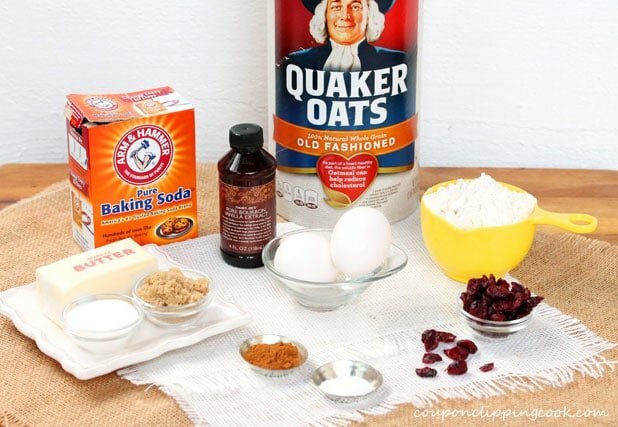 Love the combo of oats and cranberries! Hi Sarah, thank you very much! Have a nice weekend!